Nijmie Zakkiyyah Dzurinko is a black woman who grew up in a small PA town and started looking for root causes at the age of five. Her experiences led her to organize and she has been in the practice of building vehicles for collective action over the last 20 years. 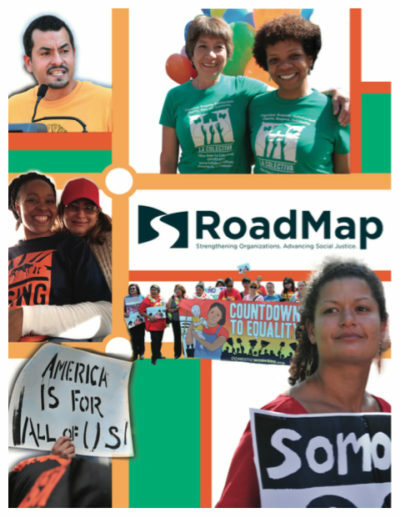 Nijmie has been consulting with RoadMap for five years and is a founding member of the Racial Justice Action Team. Nijmie brings her hard earned and time tested skills in organizing, strategy, leadership development, and communications to the service of local, regional, and national organizations, networks, and campaigns. Nijmie is a founder of Put People First! PA, a statewide grassroots multi-issue base building organization uniting people across traditional divides in Pennsylvania. She is obsessed with building a new organizing model for the 21st century that combines base building, study and narrative. Nijmie is a co-founder of the Media Mobilizing Project and a former Executive Director of the Philadelphia Student Union.